You're going to have to wait until June 24th to actually hold iPhone 4 in your hands, but you can place a pre-sale order at Best Buy starting tomorrow, June 15th. MINNEAPOLIS—(BUSINESS WIRE)—Beginning June 15, Best Buy Mobile, the mobile specialty retail unit of Best Buy Co. Inc (NYSE: BBY), launches its pre-sale of iPhone 4 from Apple. Pre-sale orders can be placed at any Best Buy or Best Buy Mobile standalone store nationwide. 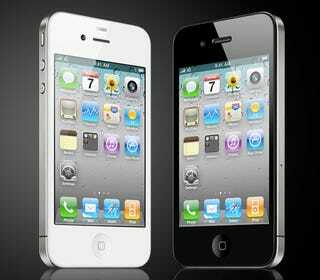 The iPhone 4 will land in Best Buy and Best Buy Mobile stores June 24. "Adding the iPhone 4 to our stores alongside other great smartphones like the HTC EVO from Sprint and HTC Incredible on Verizon, gives customers a great opportunity to view each side-by-side and get the mobile phone that works best for them." Consumers who purchase the iPhone 4 at Best Buy can avoid dealing with mail-in rebates and get help from a highly-trained staff of specialists at Best Buy Mobile. Combine all of that with a tremendous assortment of accessories and customers can get everything under one roof. "Offering the iPhone 4 to consumers is just the latest example of how Best Buy Mobile has become the place to go for the best smartphones. It's exciting to have an opportunity to launch this iconic device with this pre-sale," said Shawn Score, president of Best Buy Mobile. "Adding the iPhone 4 to our stores alongside other great smartphones like the HTC EVO from Sprint and HTC Incredible on Verizon, gives customers a great opportunity to view each side-by-side and get the mobile phone that works best for them." Best Buy Mobile has become a leading destination for smartphone purchases, in part because of the promises the store offers its customers: better choice of phones and networks; impartial, informed advice; straightforward pricing; and someone to be there for the life of the phone.